Hanoverians are a horse breed originating in Northern Germany in the former kingdom of Hanover now known as Lower Saxony. They were bred 200 years ago as carriage and military horses. After World War II, breeders concentrated on developing a versatile horse with athletic abilities, conformation as well as desirable traits of good dispositions and trainability. Hanoverians are often ridden in the Olympics and other English riding competitions. They have won gold medals in all three Olympic equestrian competitions. The adult Hanover stands stands 1.6-1.7 meters (15.3 – 17.2 hands, 63-70 inches) at the shoulder and weighs about 650 kg. They are beautiful, graceful, elegant horses. They have strong backs and are powerful with strong limbs. Colors seen most often are chestnut, bay, black and gray. 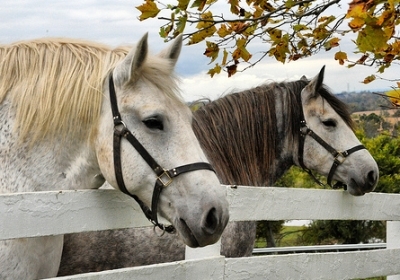 Mares are tested at 3 years or older for rideability, gaits and jumping. 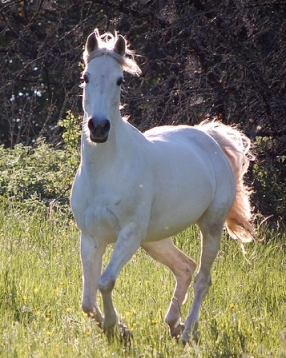 All stallions are rated on conformation and jumping ability. Then they must complete a 70 day stallion test for gaits, trainability, athletic ability in dressage, show jumping and cross country. Hanoverians go through vigorous testing to ensure good health is passed on to foals. Only foals from horses meeting required standards receive a Certificate of Pedigree. Hanoverians are intelligent and very willing to learn. Today they are used in general riding, dressage, hunting, jumping, mounted athletics and work activities.